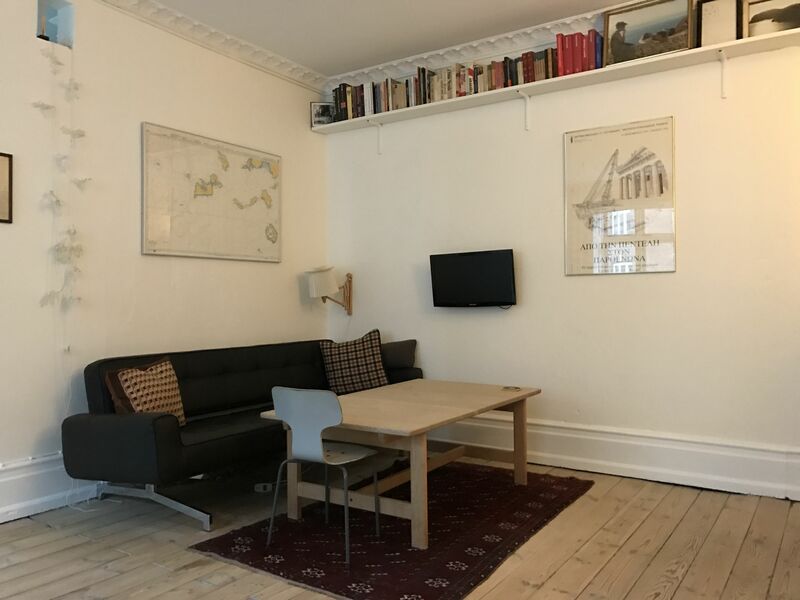 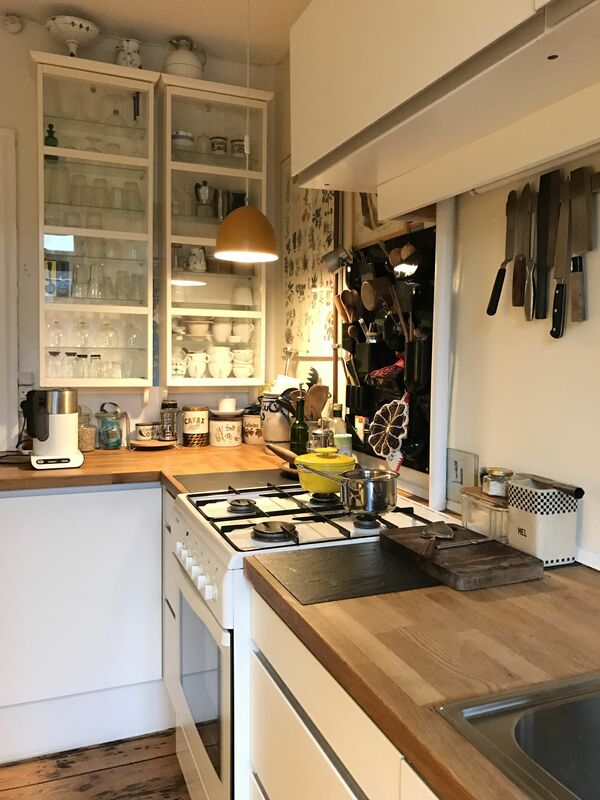 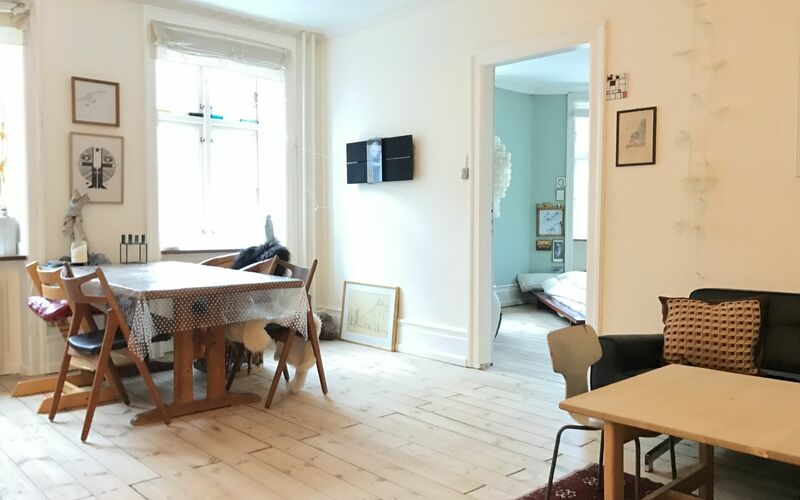 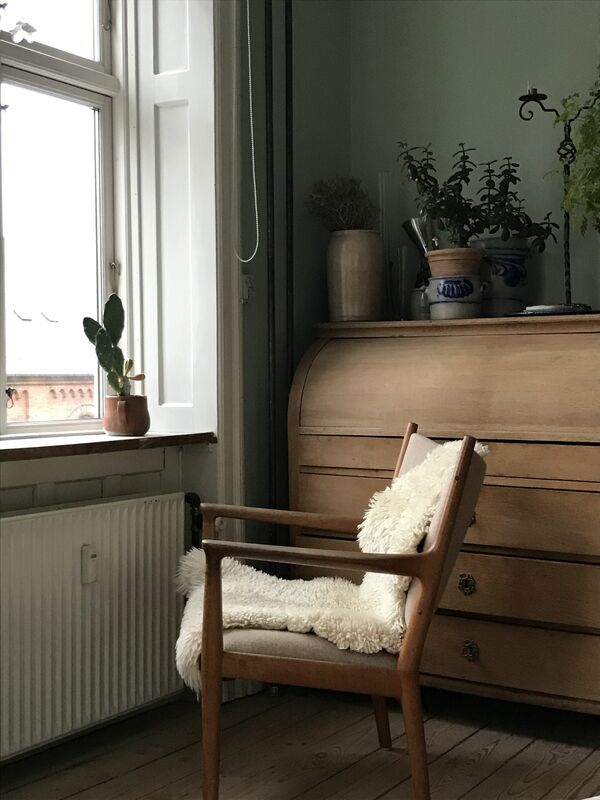 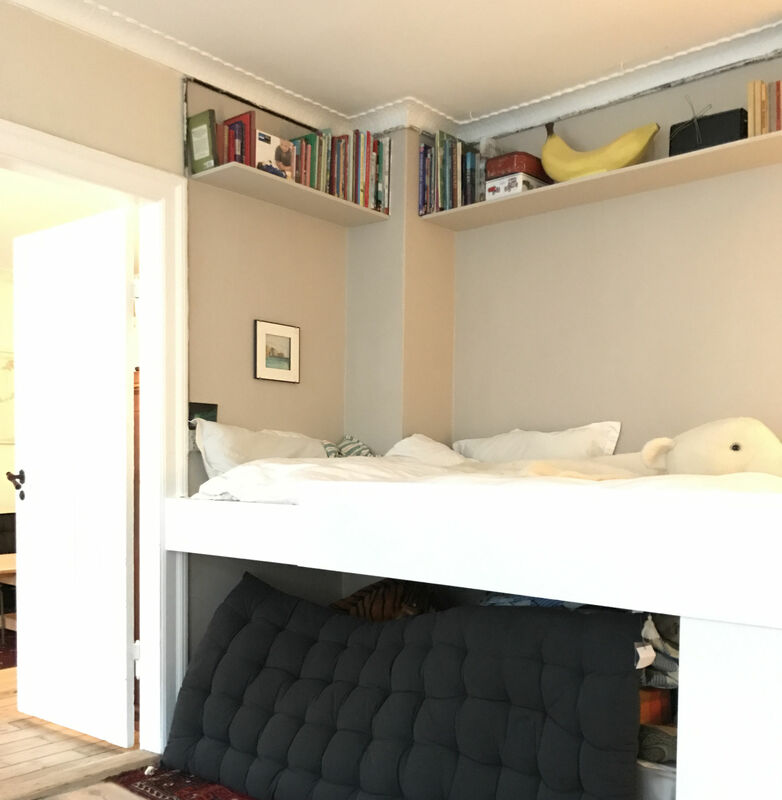 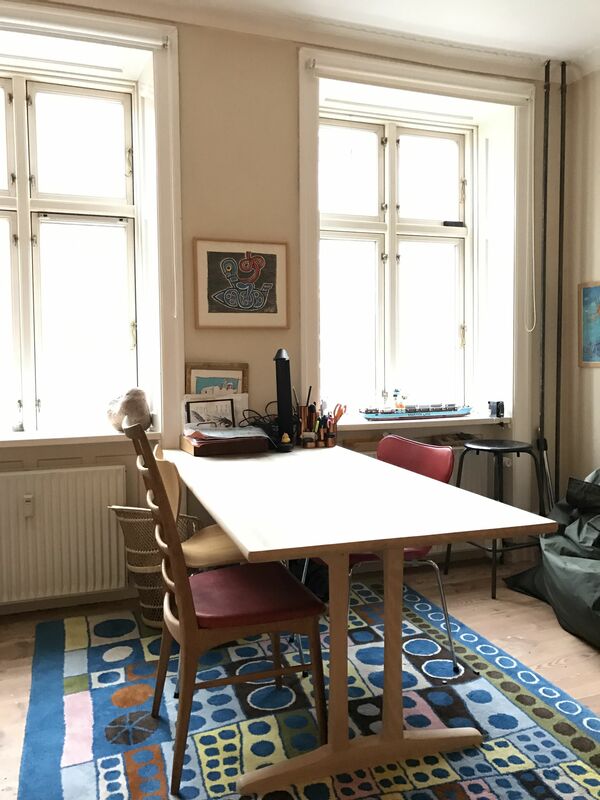 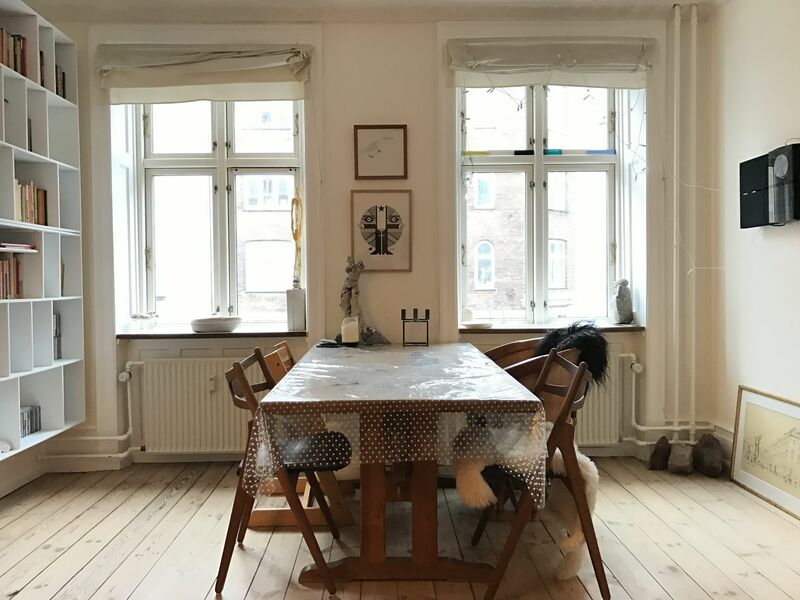 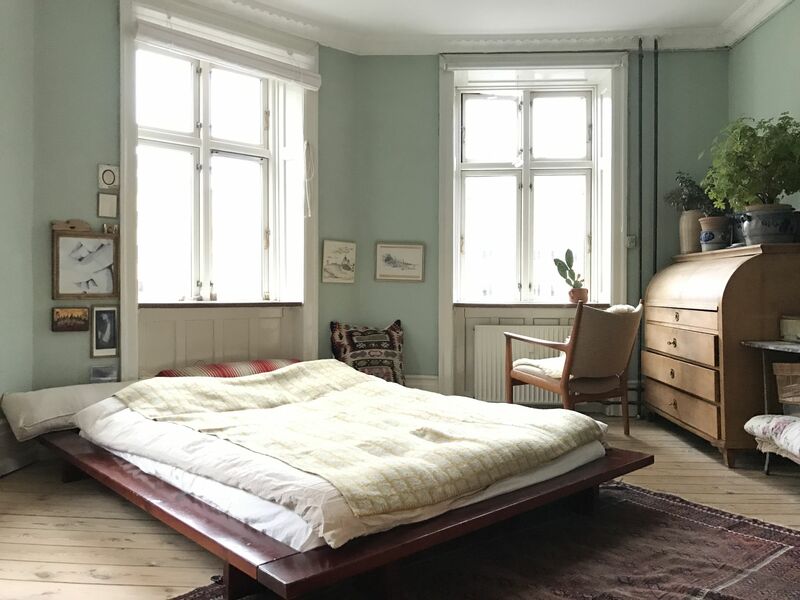 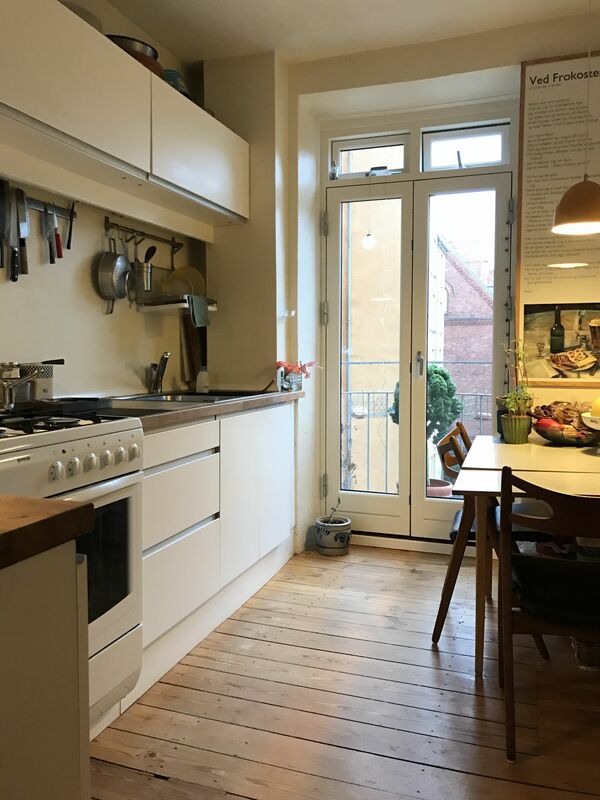 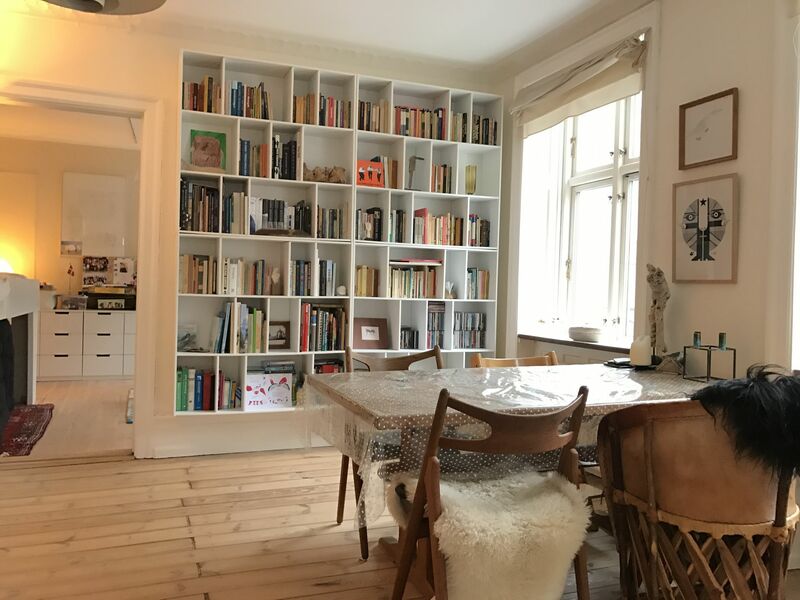 Lovely and light 97 m2 apartment located in the middle of Nørrebro close to shopping and public transportation. 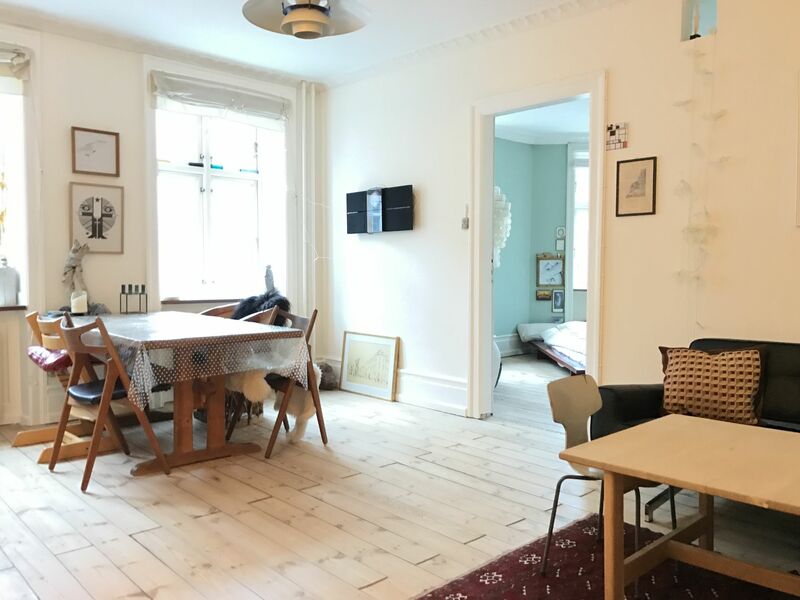 Hall, combined living room / dining room, adult bedroom with double bed, child's bedroom with single bed (ca 90 cm over the floor), combined toilet / bathroom with shower, kitchen with dining table and option to open the doors to a French balcony. 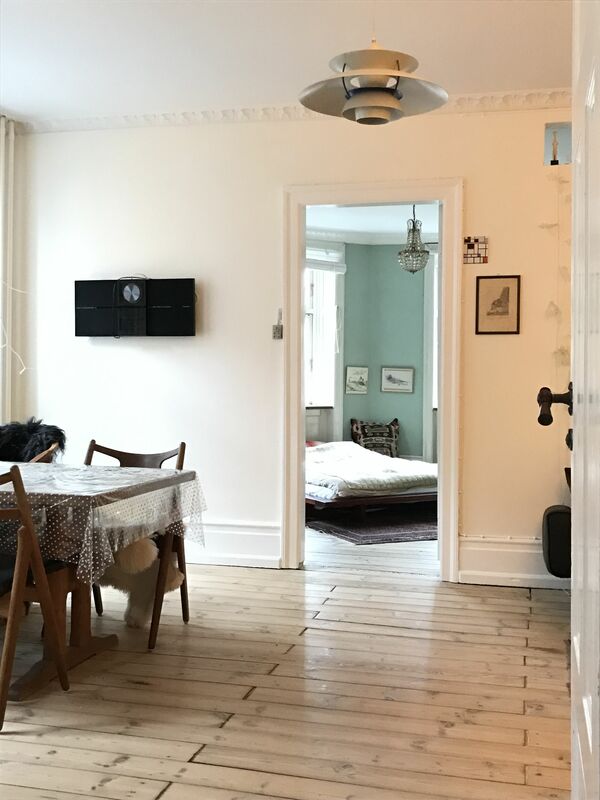 WiFi, stereo, TV that can stream via an HDMI cable. 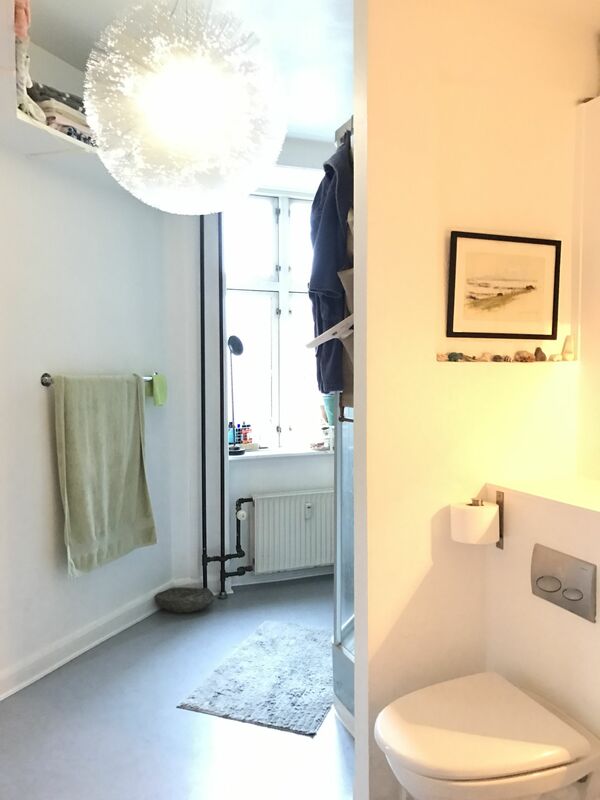 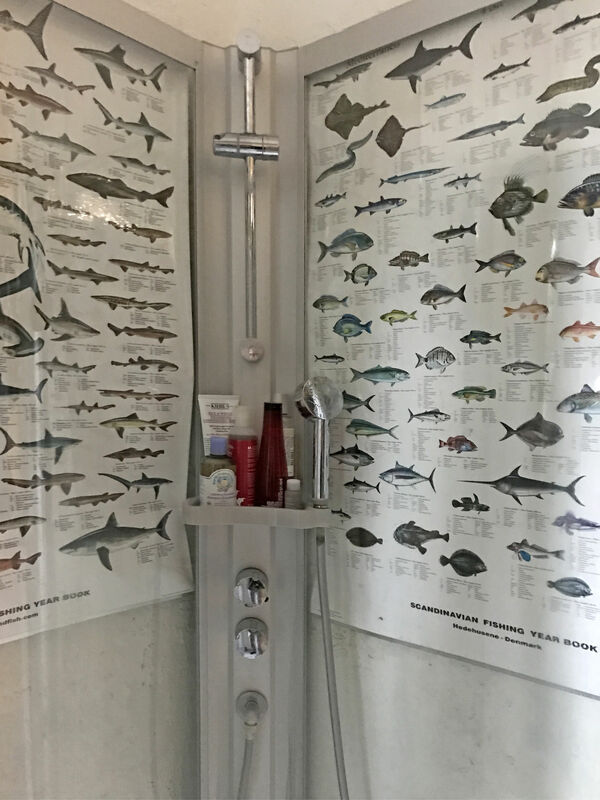 Access to the building's shared laundromat.